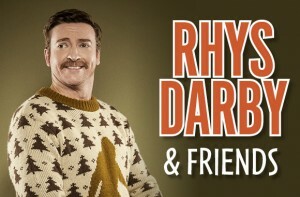 Rhys Darby - Hello, nice visitor! I am so excited to share the news that I have a children’s book coming out! It is for 8 to 12 year olds (or anyone really). It is out digitally worldwide or you can get hard copies in Australia and NZ from October 1. You can pre-order here, Mighty Ape in NZ will even ship worldwide! Mystic Time Bird in Toronto and Los Angeles! We are taking Mystic Time Bird to Toronto this Saturday September 23. Check out the JFL site for details. I will be performing standup at Second City too. And, I will be bringing Mystic Time Bird to Los Angeles! YAY! See the gig guide for details (it is Octoebr 17 at Largo at Coronet). Very excited that I have just enough time to bring my Mystic Time Bird show to Australia this August! Head over to the gigs page to get ticket details. I will be heading to Sydney, Brisbane, Melbourne, Adelaide and Perth. Be the first to get tickets from the presale ,11AM this Thursday 8 June through till Monday June 12 at 5PM. Exxtra Shows Announced in NZ Tour! Tickets are flying out the door to Rhys Darby’s new show Mystic Time Bird. Extra shows have now been added in Wellington and Christchurch, and Darby has added two new towns to the list too. He will take his new show to Westport and Ashburton, both towns that he has not toured to before. Darby is currently filming season 2 of the US sitcom Wrecked. He also stars in Jumanji, the sequel to the original, out in December. You can see him on Netflix’s A Series of Unfortunate Events and Voltron. He is based in Los Angeles when not filming on tropical islands. NZ Tour 2017 on sale next week! We are thrilled to announce a full NZ Tour for July and August next year! We will be visiting a huge number of places, including two new ones, Gisborne and Queenstown. The show is called Mystic Time Bird, and you can get in on the presale on Tuesday December 5 using the codeword ROBOT. Keep checking back the next few days and I will be putting the shows and links in the gig guide. It’s been a few months (as I have been travelling, working and so on) but we are back! The Funny Things Society will reconvene at the Largo this month. Come along for stand-up comedy guests, some sketch comedy and general funniness with all the comics. Sydney Opera House in September! I will be hosting a show at the Sydney Opera House on Saturday September 10. It’ll be me, and a few of my friends from around the world, it’ll be stand-up comedy, and a few sketches and a lot of fun! Rhysently Granted returns after 20 Years! In 1996 Rhys Darby and Grant Lobban formed Rhysently Granted. Part sketch comedy, part music, all surreal silliness, they were a huge hit in Christchurch with their fan base reaching the double digits. They lasted a short time, performing at pubs and in two comedy festivals. But, they’re back, and its 20 years since their first gig at the Southern Blues Bar in Christchurch. Join us to see where these two quirky comics began, and where they are now! 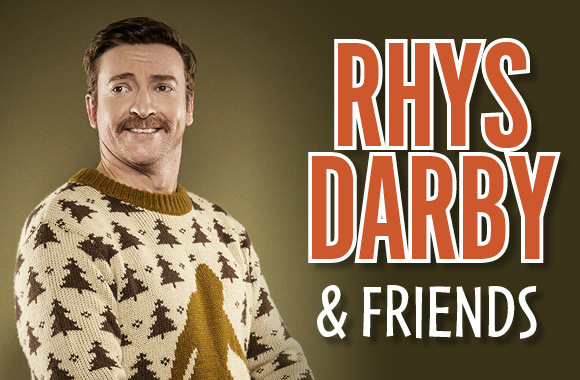 Rhys Darby’s big break came with HBO’s Flight of the Conchords, and he has gone on to star in countless US TV shows and movies, including the recent The X Files reboot. He has toured as a solo standup constantly since he left NZ in 2001 for the UK. Rhys stars in upcoming US TV show Wrecked and has several other shows in development in the US. Grant Lobban is best known as the Ticket Guy in A Night at the Classic and Damo in Shortland Street. The past 20 years have been filled with toiling as a chef, call centres and the occasional gig as a standup. Grant is also the star of many TV commercials, specializing in selling his soul to the lowest bidder. His biggest success was when he dressed as a life sized iron for Sunbeam. Unfortunately, they refused to let him keep the costume. Grant is excited to see what happens when these two best friends hit the stage together again! Rhys and Grant will be filming this return for a documentary. Just in case there is some pure gold in there. We are pretty pleased that Short Poppies, the TV series where I play 8 typical Kiwi characters, has been nominated for Best on the Box! Of course, we’d love to win, the show was a blast to make, and involved some of the most amazing, talented Kiwis, many in their first acting roles (like my son Finn). Please show your support by voting for our show at www.bestonthebox.co.nz. You never know, I win might just encourage another series! AND I AM COMING BACK TO MELBOURNE!